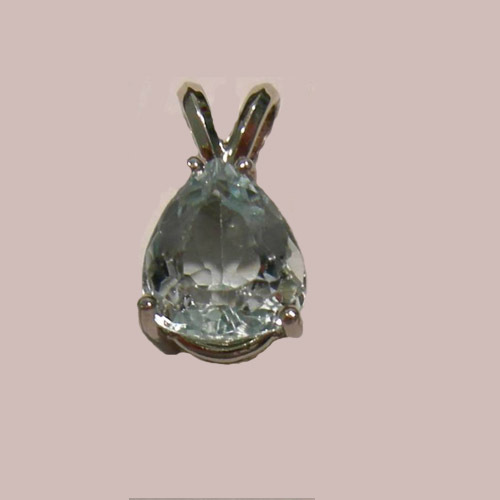 Desc: 14 karat white gold pear shaped faceted Aquamarine pendant. The 14 karat white gold mounting was custom made for this gemstone. The Aquamarine is the birthstone for March. We can provide the Aquamarine enthusiast with any shape and carat weight (Contact us for details).